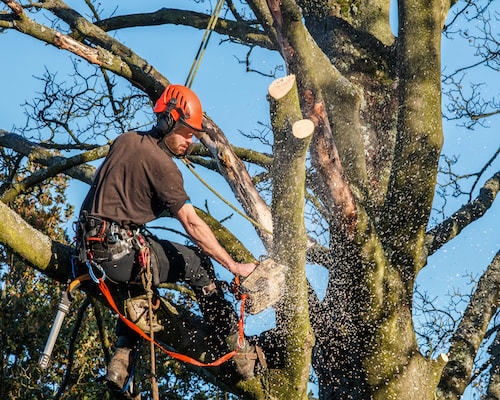 Trimming and pruning are regular tree maintenance tasks that can save a lot of hassle and extend the longevity of trees in the process. Most damage caused by trees is due to overgrown or weakened limbs being felled by hail, wind, heavy rain or lightning. These can knock down power lines, damage houses or even injure passersby severely. On top of this, overgrown trees are unattractive and severely ruin the curb appeal of any property. It doesn’t take long for a tree to grow out of control in Oregon thanks to the fresh air and frequent rain we get, meaning regular pruning or trimming are necessary for pretty much any kind of tree you might have. 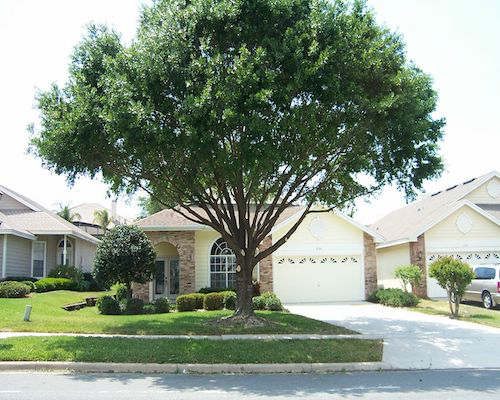 A well-maintained tree will look better, and it’ll discourage a lot of pests from taking up residence on your property. 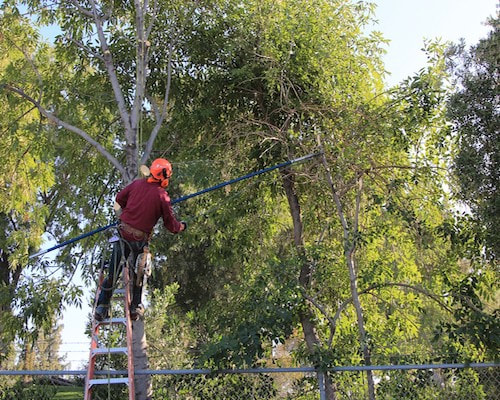 Our professionals are very experienced in trimming and pruning just about every species of tree that can grow in North America, so it doesn’t matter what kind you have on your property. We can definitely trim it safely and properly every time. A common question we’re asked is what the difference between trimming and pruning. This is understandable since a lot of people use the terms interchangeably. There is a difference, however and an important one at that. Pruning is actually a much lighter form of maintenance, usually cutting back the ends of limbs and thinning out chutes and undergrowth in a tree. Regular maintenance results in this being more commonly needed, simply to keep the shape of the tree in check. Trimming is heavier, often needing most or all of a limb to be cut due to severe overgrowth, dying or weakened limbs and other similar problems. Commonly, the best time to trim a tree is in the late fall or early winter when weather isn’t severe but the foliage has cleared. It’s easier to spot damaged or dying limbs. Being dormant this time of year, trees usually respond better to trimming or pruning at this time as well. Salem Tree Service obeys the Arbor Foundation’s trimming guidelines very, very strictly. This will ensure that your tree is trimmed not just safely, but within the natural growth boundaries that are healthy for it. We take care to never stunt the growth of your trees or trim them in such a way that they’re made ugly – something many other services are very bad about doing. Finally, there’s no need to worry about your landscaping or property as our trained staff follow a strict process that guarantees their own safety, that of your property and leaves no mess or marks on your land. Like trimming, we adhere to strict guidelines when we prune your trees. We care not just for controlling the growth and appearance of your trees but also their health and viability and will never take actions to harm them. Sometimes a tree doesn't need to be removed, but just professional trimmed to restore its appeal and make it easier to live with. Call today for free tree trimming estimates.